Panzanella (Tomato and Bread Salad) is the perfect warm weather salad, especially when tomatoes are in peak season. 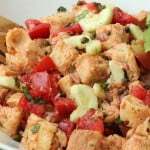 Panzanella is a Italian dish originating in Tuscany. 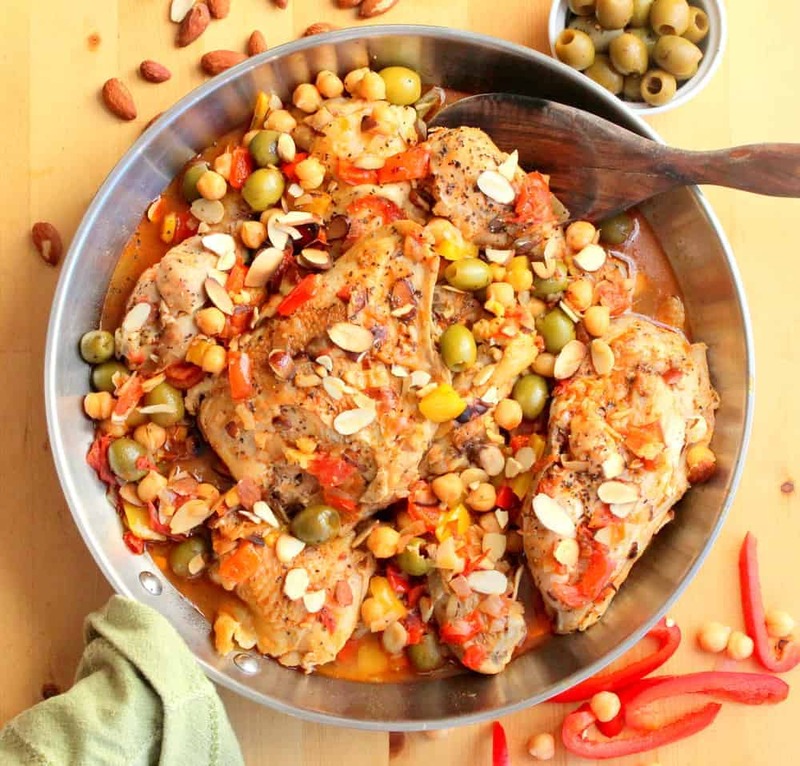 This was a good (and incredibly delicious) way to use up stale bread. Some folks toast the bread pieces, which is perfectly fine…but the classic traditional way is to not toast them. I guess I’m a bit of a traditionalist when comes to these sorts of things. 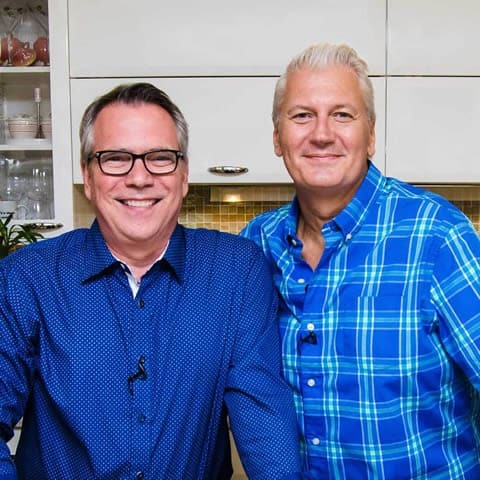 Once the bread soaks up the juices from the tomatoes, and the vinegar…and then blends with the herbs, onion and capers…Oh My!! So good! 120% Loon Approved! Start with some good country Italian bread. Just look at all that goodness. 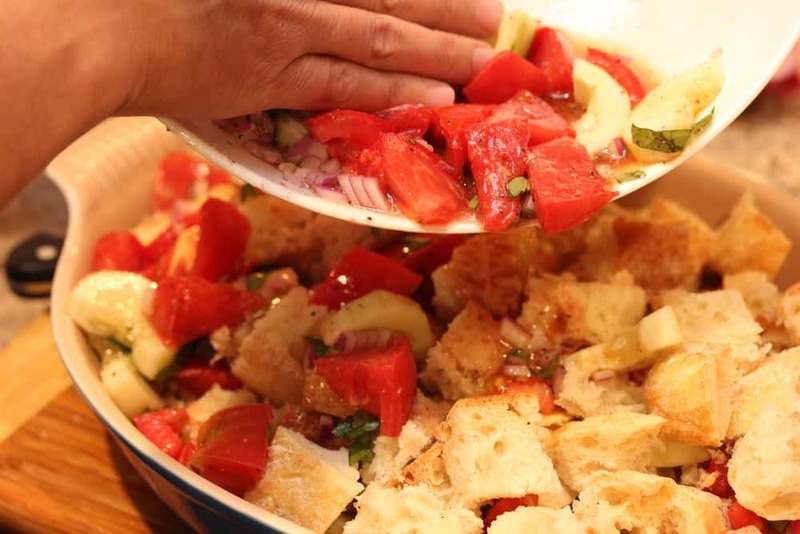 Panzanella (Tomato and Bread Salad) is the perfect salad for peak season tomatoes. Go with a day-old country bread, or, just stick it in a low-grade temperature oven for about 15 minutes to dry it out. Let all the ingredients sit together for about an hour before tossing...and the result is yummy Italian salad perfection! 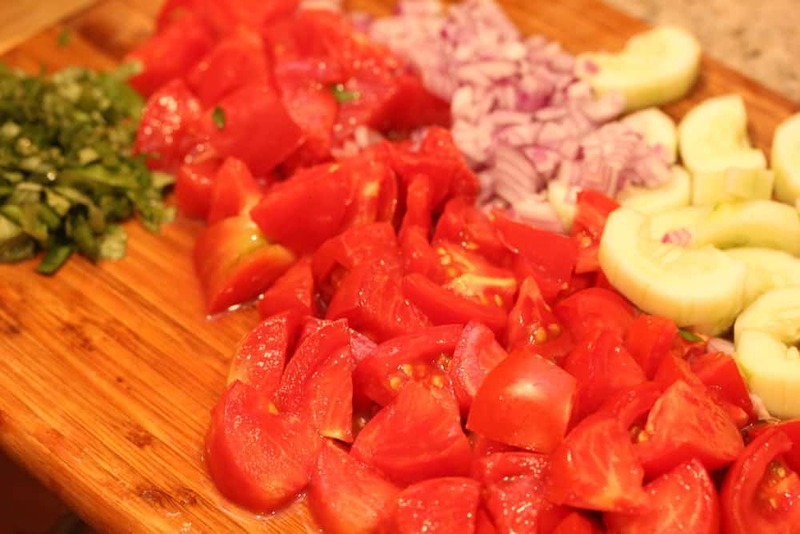 In a large mixing bowl, combine the tomatoes, cucumber, onion, and basil. Drizzle with the 1/2 cup olive oil and the 3 tablespoons vinegar and season with salt and pepper. Gently toss to coat evenly. 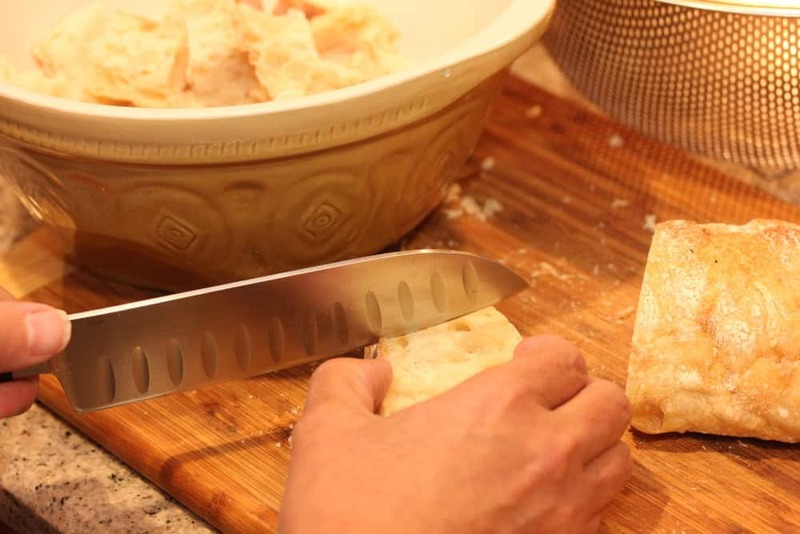 Cut or tear the bread into bite-sized pieces and place half of the bread in a wide shallow bowl or dish. Spoon on half of the tomato mixture and layer the remaining bread on top and then the remaining tomato mixture. Toss the salad, then taste and adjust the seasonings with salt, pepper, and vinegar. If the bread is dry, add a little more olive oil. Garnish with a few basil leaves before serving.